Honeysuckle Cottage is a beautifully presented character cottage that was originally built by the award winning Country Craftsmen and subsequently improved by the present owner by the addition of a bespoke hand built conservatory by TC joinery with curved doors, under floor heating, powered blinds opening into the very pretty and quiet rear gardens. 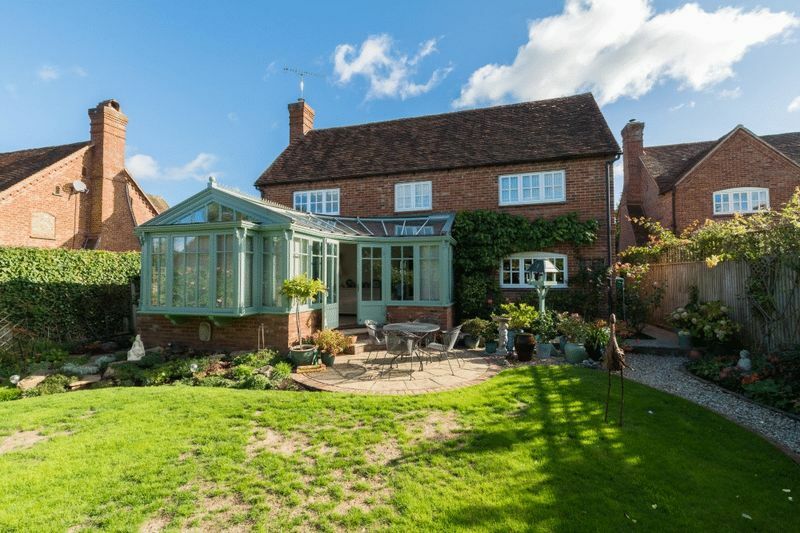 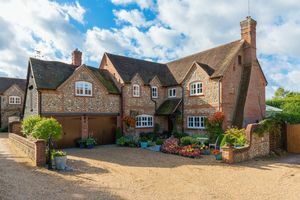 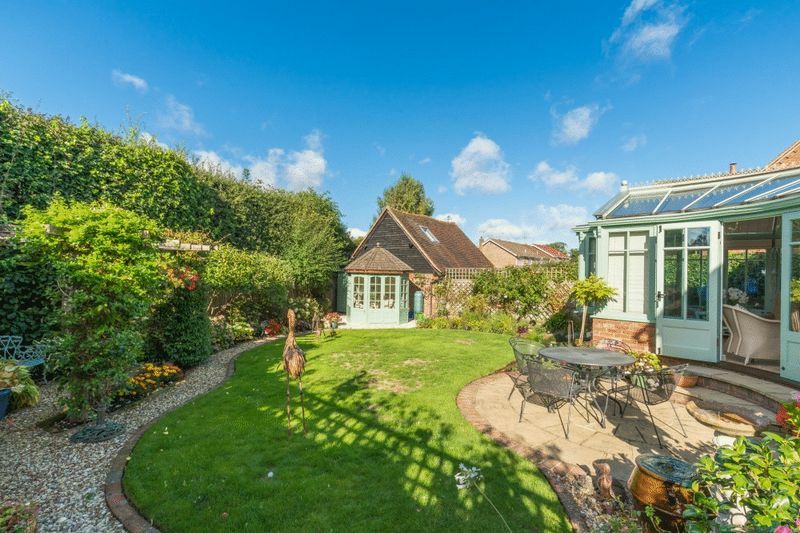 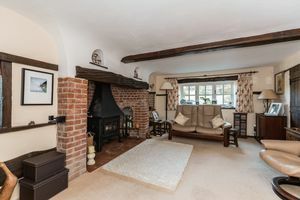 Externally this pretty cottage has lovely brick and flint elevations and the character extends throughout the cottage which is approached through the pretty porch into the entrance hall. 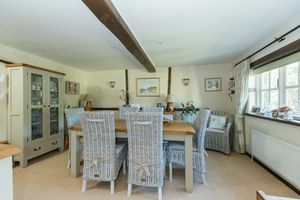 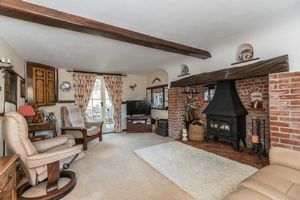 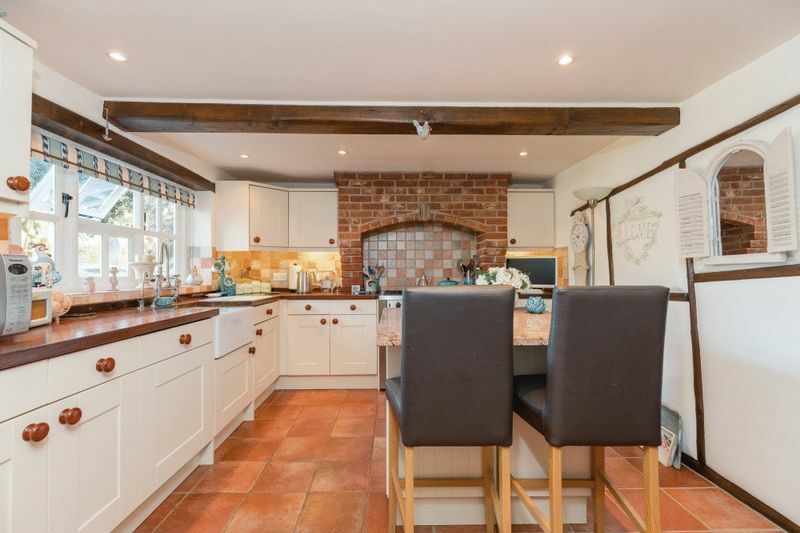 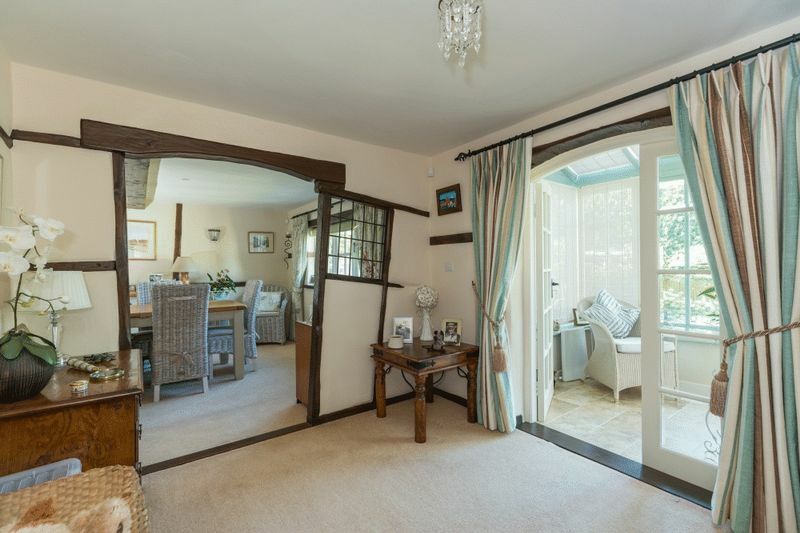 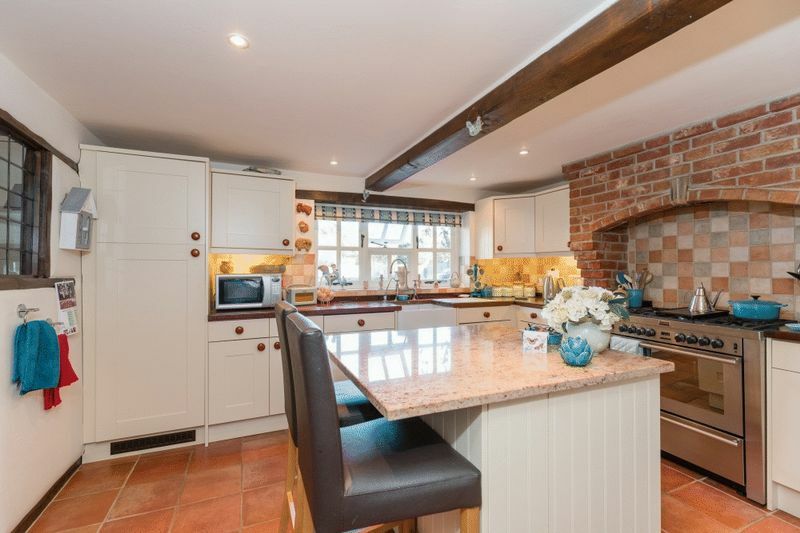 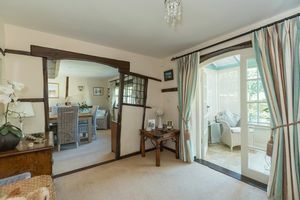 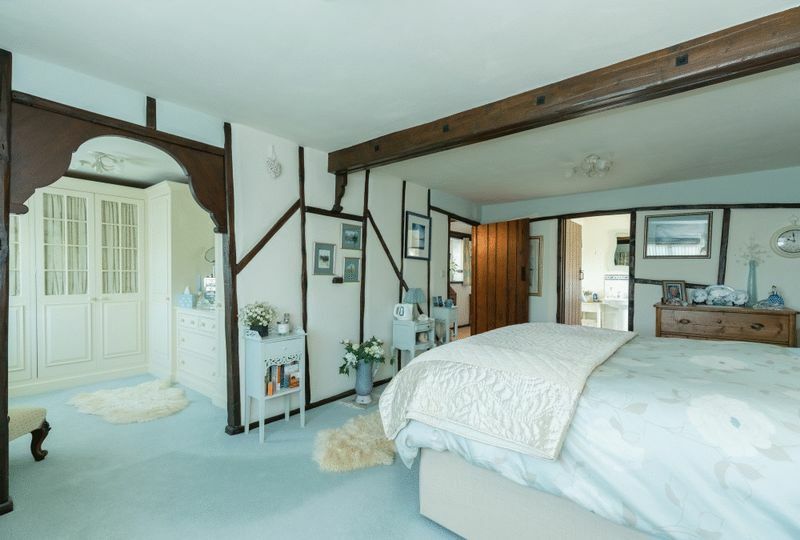 There is a wealth of exposed beams throughout and the sitting room has a large feature fireplace with a wood burning stove as its focal point. 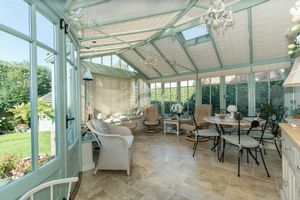 The dining room opens into the study which in turn opens into the striking conservatory. 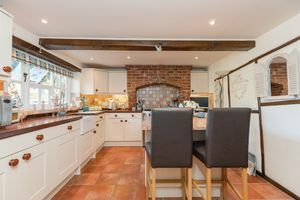 The kitchen is well fitted with integrated appliances and there is a good size utility room with doors to the garden and through to the double garage. 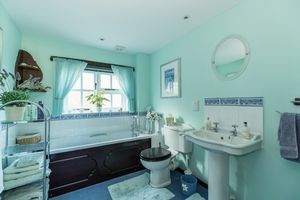 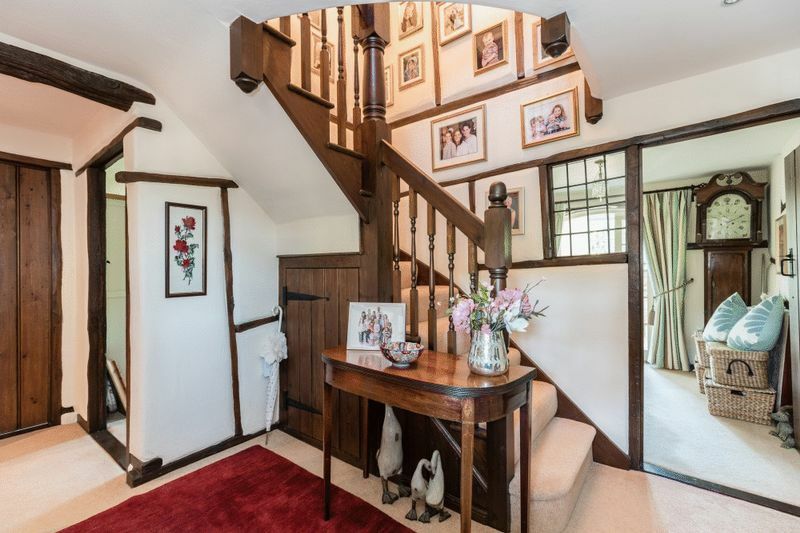 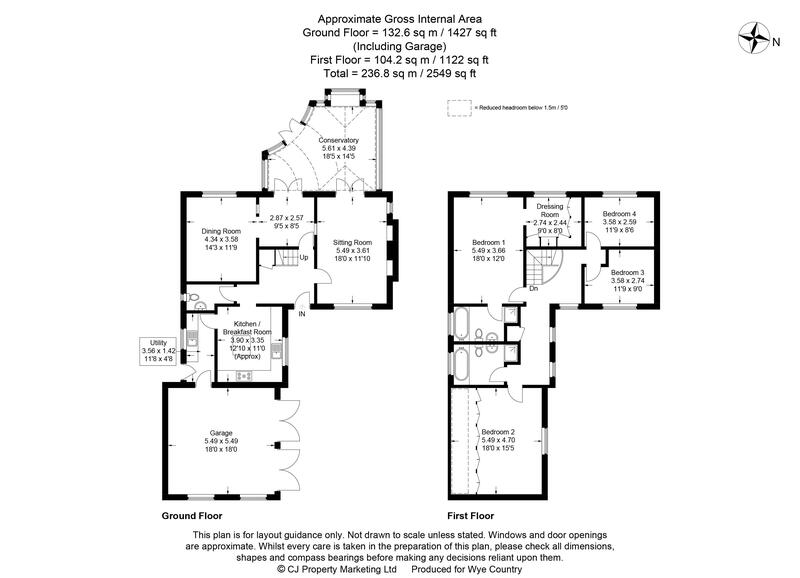 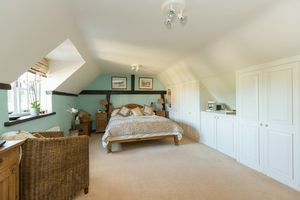 On the first floor the pretty landing area has a curved banister and the master bedroom has been altered to provide and en-suite and dressing room. There are three further bedrooms and a family bathroom. 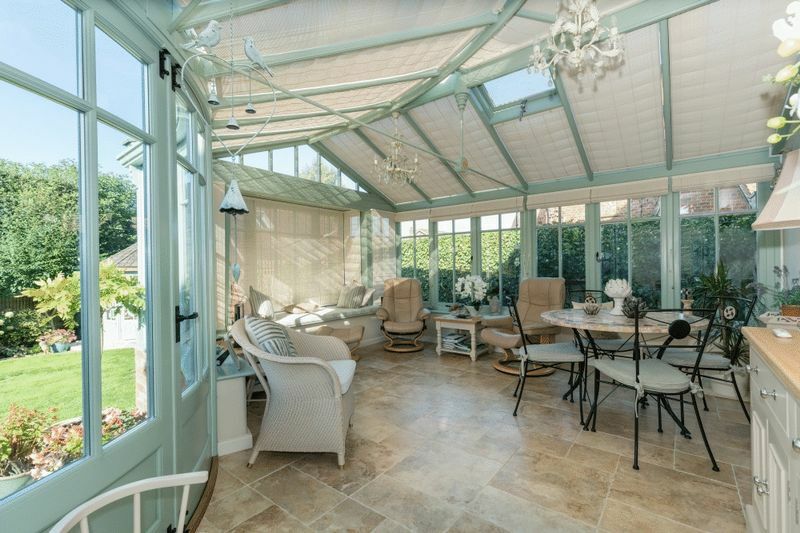 Outside the gardens are well enclosed, beautifully tended and very private.